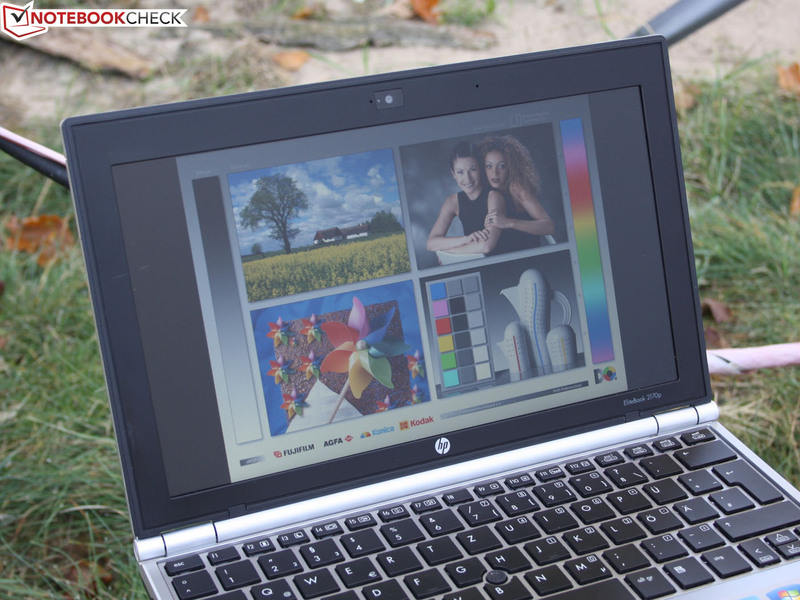 HP EliteBook 2170p (B6Q12EA): elite mini notebook with power and stamina? 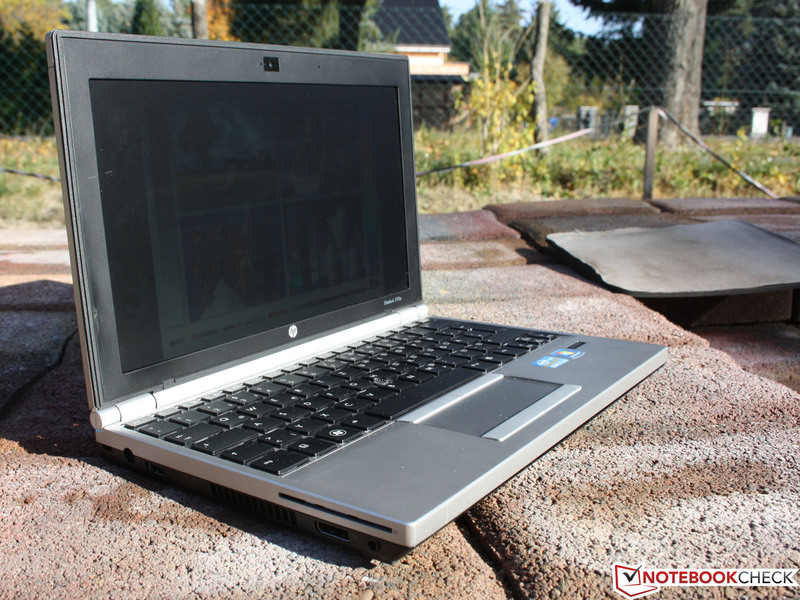 The EliteBooks of HP are the upper-class business notebooks of the manufacturer. They are on par with Lenovo's T-Series ThinkPads and Dell's E-series Latitudes. Quality design, handy communication, and state of the art hardware. 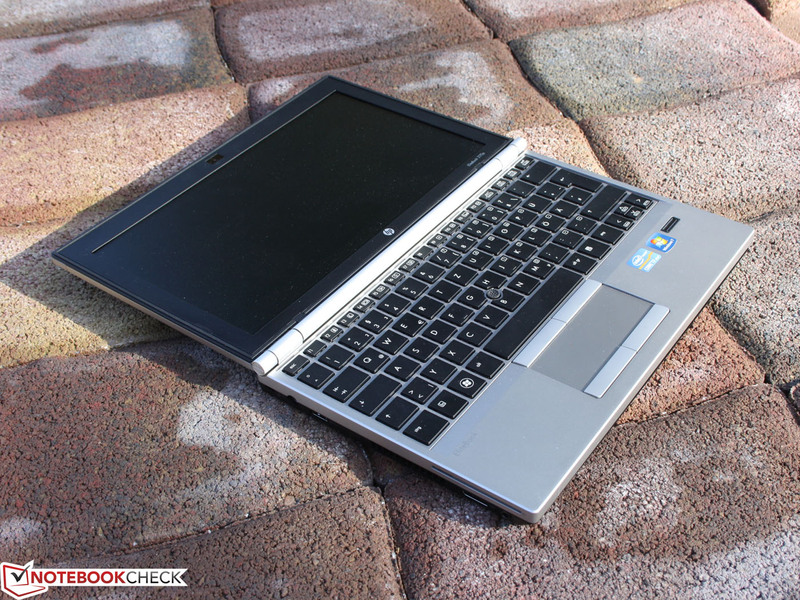 After these specifications, how should the mini EliteBook look? Light, but fragile? Thin, like an ultrabook? Low-voltage processor for extreme battery life? IPS display, to win the war with the Zenbooks? Our review reveals the answer. 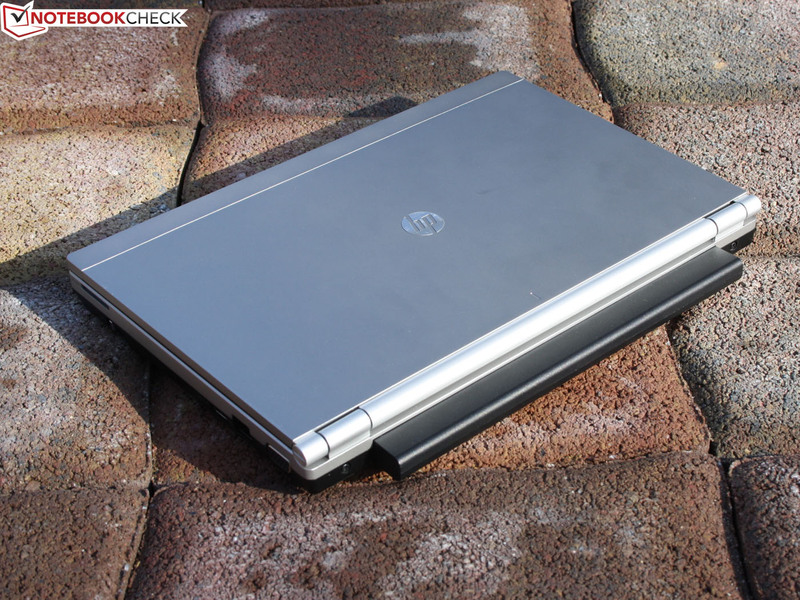 It is not the first time HP has offered a small EliteBook. 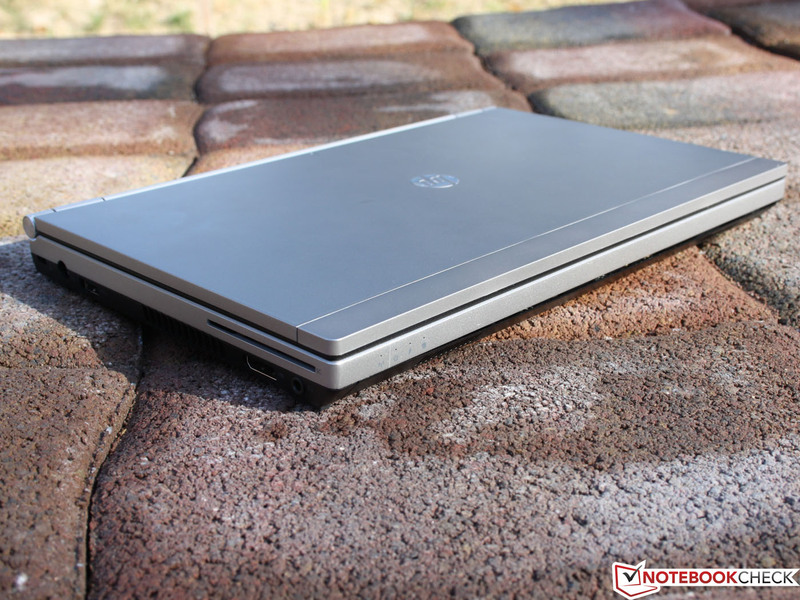 We reviewed the HP EliteBook 2570p-B6Q10EA not long ago. In the Performance and Battery Life sections, we will explore whether the downsize from 12.5-inches/1.6 kg to 11.6-inches/1.45 kg has proven to be practical. After all, the 2570p has a standard-voltage processor (Core i7-3520M). Should you choose the 12.5-inch one? See under Processor. At 2000 Euros (~$2581) the 2570p (configuration of the test device) is priced very high. Our 2170p is somewhat cheaper at 1700 Euros (~$2194), but has similar components. 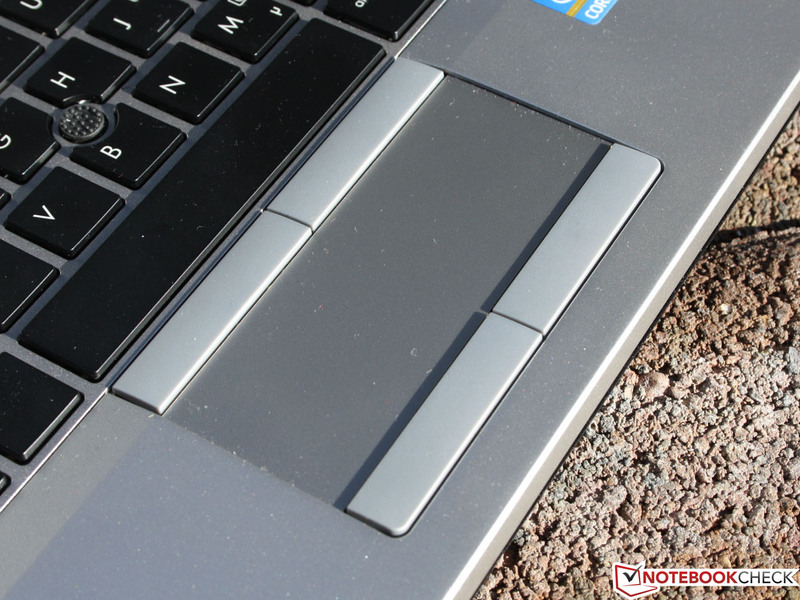 Our review shows whether the 11.6-inch EliteBook rounds up the portfolio perfectly. Maintenance cover: danger of breaking! After a short time it is clear: HP has carried the materials, the rigidity and the quality of the 12.5-, 14-, and 15-inch sister models over to the smaller form factor. The weight (1.45 kg) is higher than that of similarly sized consumer notebooks, but is in no way heavy. In comparison: the few business 11.6-inch notebooks are only lighter when, as with the Acer, the battery is smaller: Lenovo ThinkPad X121e (1.54 kg), Lenovo ThinkPad Edge E130 (1.5 kg), Acer TravelMate B113-M (1.38 kg, 37 Wh battery). 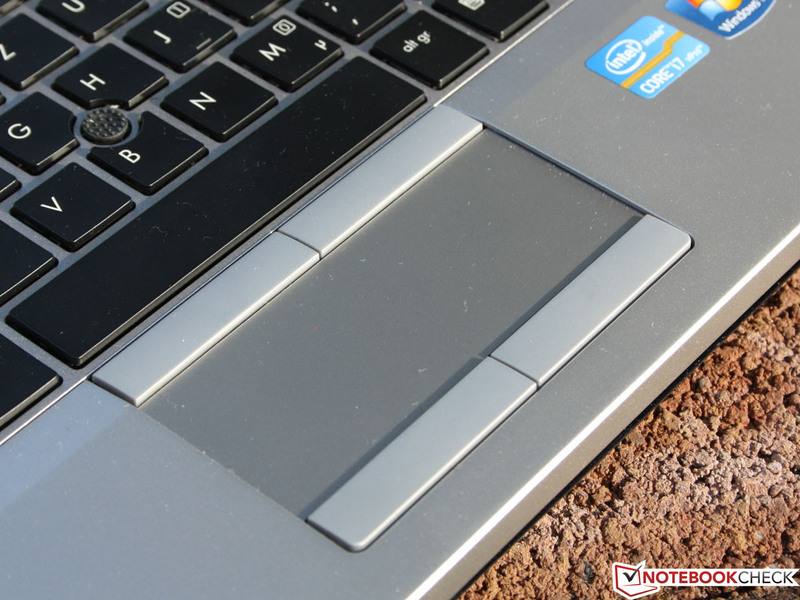 The base unit is absolutely solid: be it keyboard, palm rest, or bottom cover - nothing can be dented. The hinges are made of solid metal and allow the lid to be opened to exactly 180 degrees. 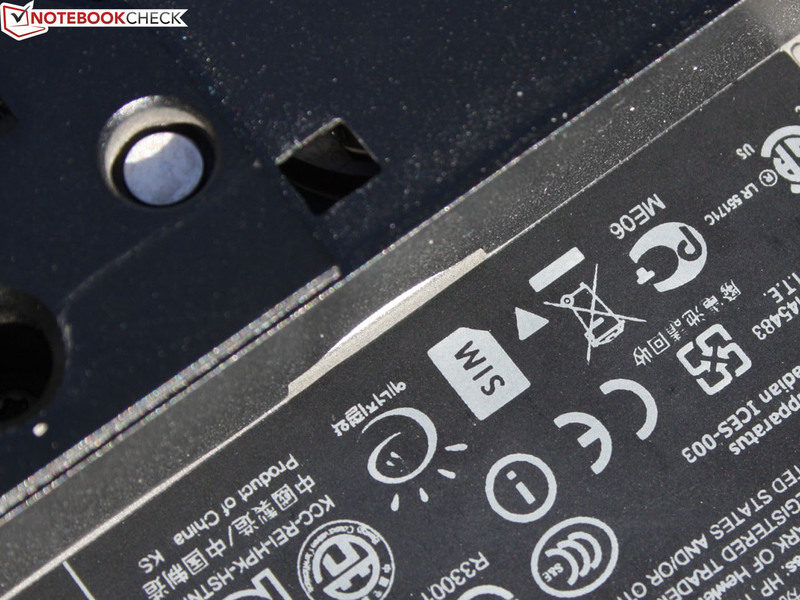 Because the battery protrudes out the back, the interfaces are positioned on the left and right sides. 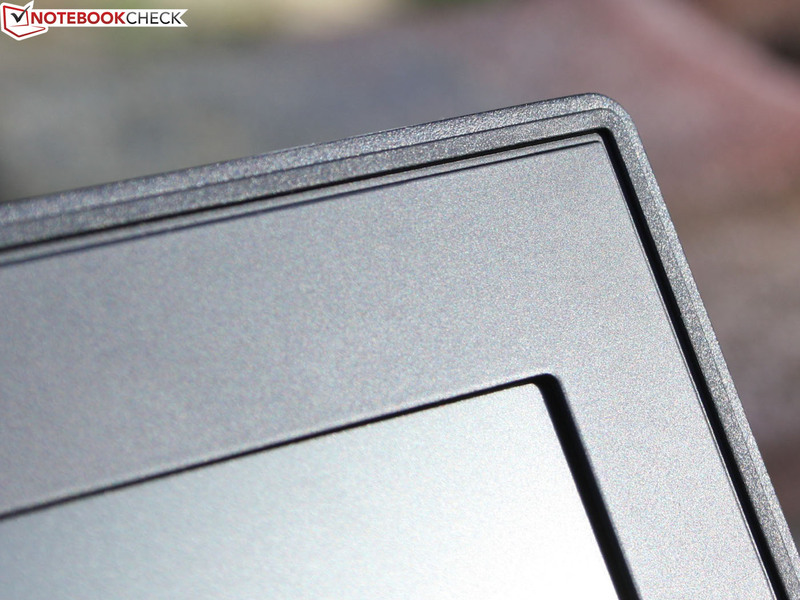 The display lid is not as solid, as we are used to with other EliteBooks. The aluminum surface can be dented to an extent and the lid can be twisted at the corners. The plastic cover on the user's side of the LCD frame is not solid. There is a rubber strip all round the inner side of the lid, which rests on the base unit when closed. 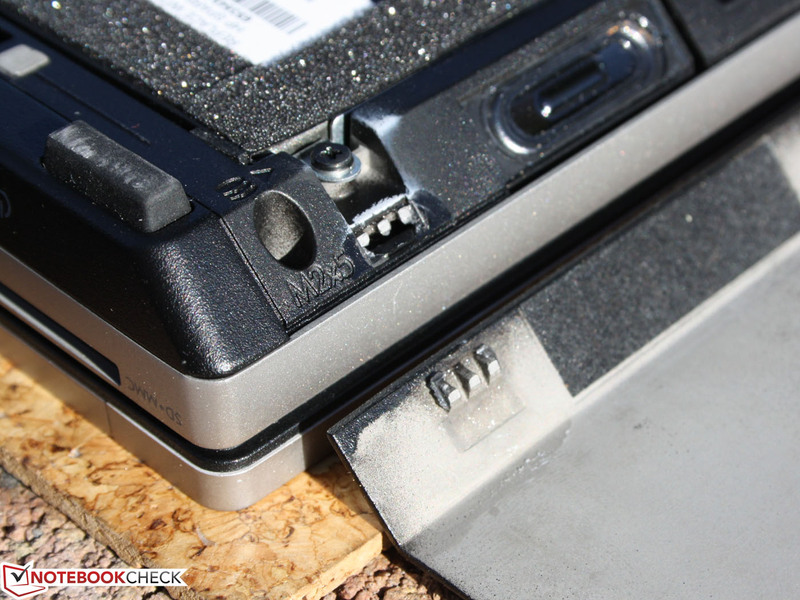 Maintenance, as with all EliteBooks, is possible via a single large cover. There is no sliding mechanism, the cover is screwed and locked at the front. 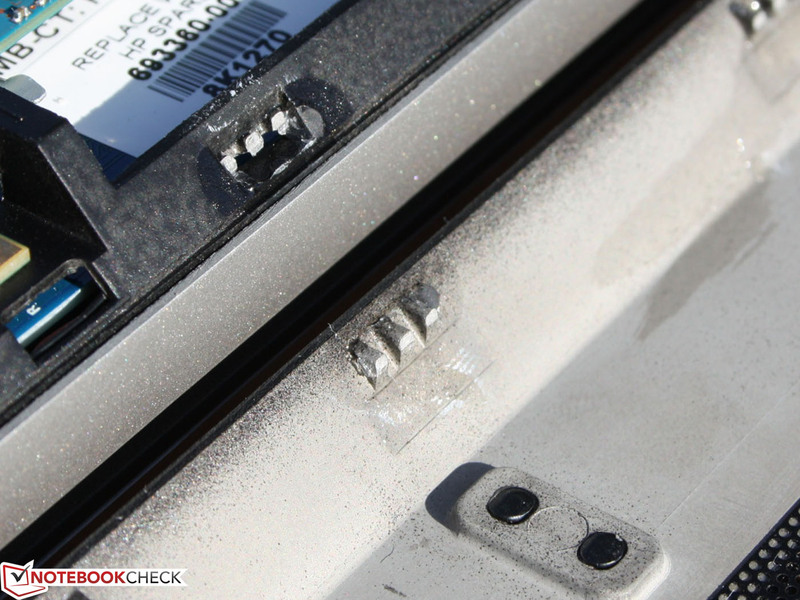 On our test unit, all the front plastic hooks (that lock the cover) were broken. The magnesium base has no manufacturing vulnerability. It simply needs to be pushed, not hinge opened (!). We suspect the previous tester of doing the latter. The tester used the 2170p on a train and reported: the three-millimeter-high feet fit perfectly on the anti-slip metal strips on the tables. 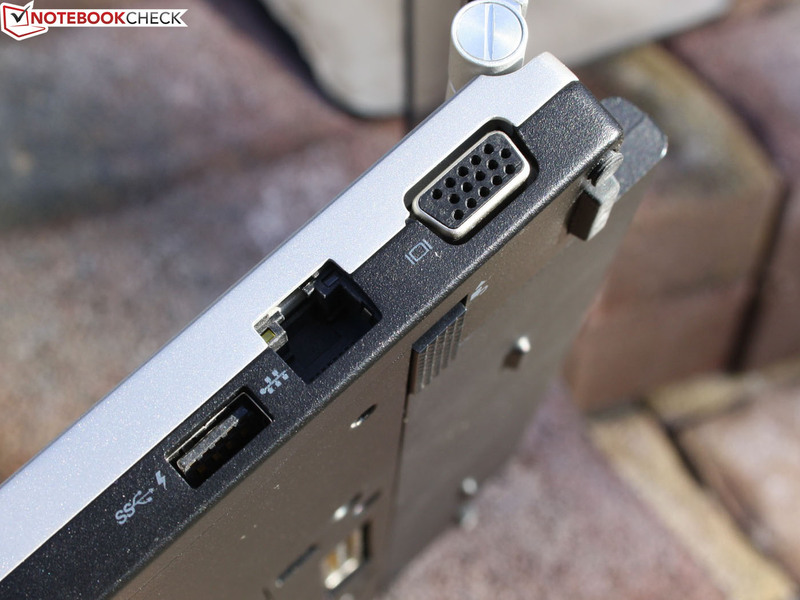 Our criticism of the display lid must be taken with the high quality of the EliteBooks in mind. 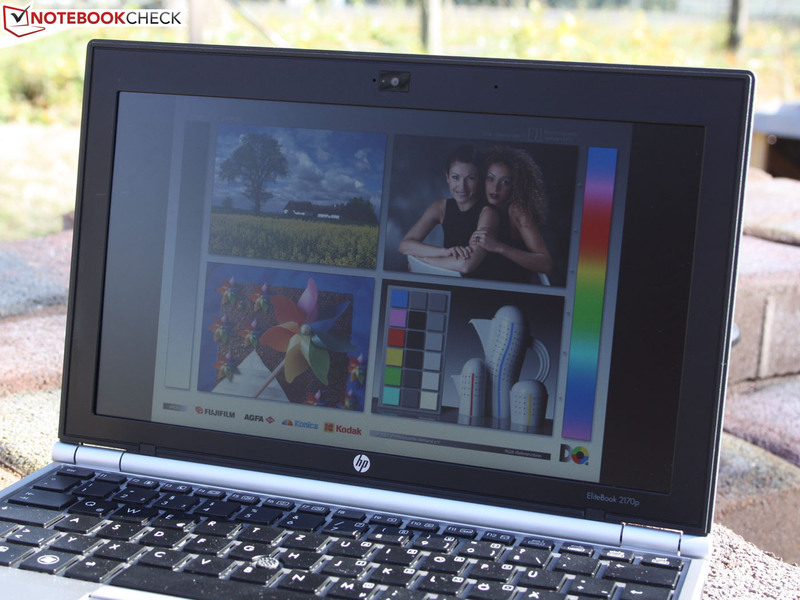 All in all HP has produced a sturdy and high-quality 11.6-inch notebook, which can endure the business life without a protective case and careful handling. 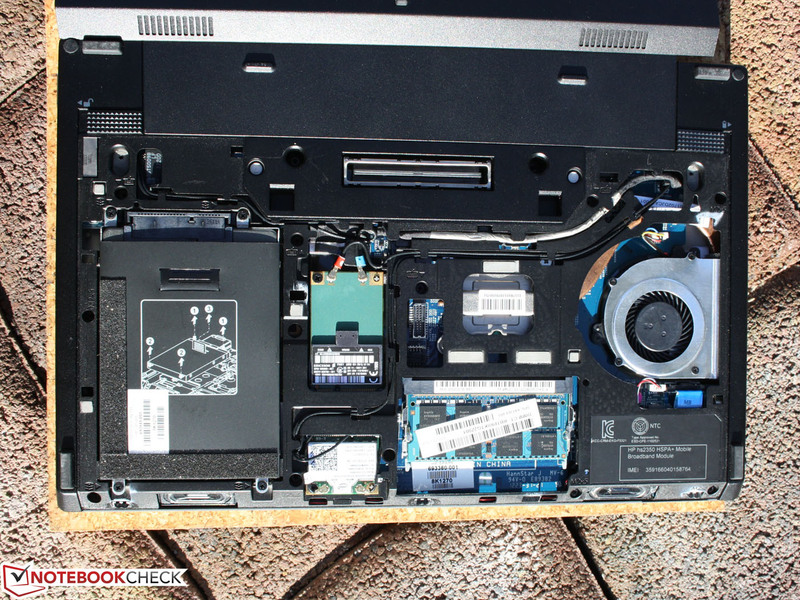 While HP had managed to squeeze in an optical drive in the EliteBook 2570p, the engineers have omitted it in our test unit in favor of stability and height. There is no HDMI, but a business oriented DisplayPort. Older monitors and projectors can be connected via VGA. Speaking of docking: the Docking Stations HP 2012 (90/120/230 W, four models) support all of the EliteBooks, the 11.6-inch one as well. Even the 90 W model (at 120 Euros, ~$154) offers RJ45, USB 2.0, VGA, Parallel, Serial, PS2, Audio and DisplayPort. The luxury 120/230 W models have a SATA Upgrade Bay for an optical drive or a hard drive. When a docking station is available, the two USB ports on the notebook do not seem too bad (2x USB 3.0, 1x Sleep & Charge). 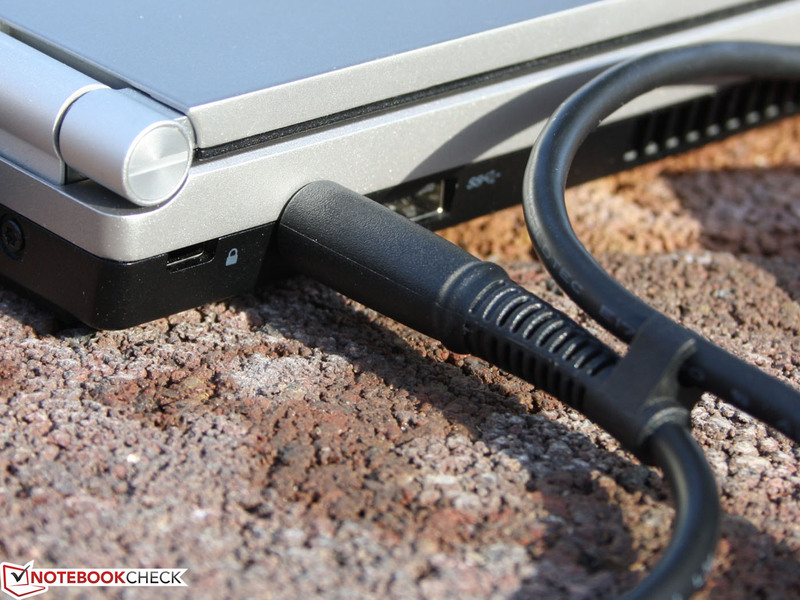 There are no surprises with the mobility dwarf of the EliteBook class: a 3G modem (HP hs2350 HSPA+) is on board. But there's more: Draft-N WLAN and Gigabit Ethernet are also mandatory. The smartcard reader can be used for login. 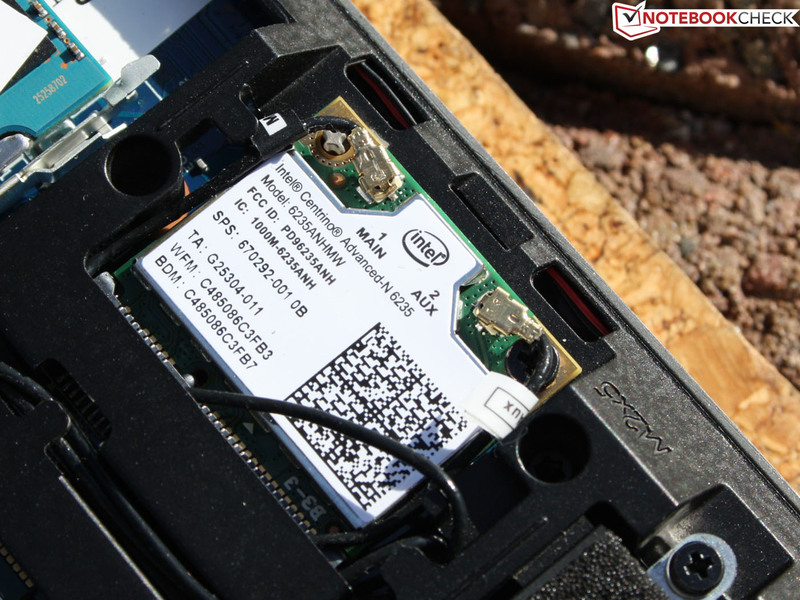 Invisible, but still here is the Trusted Platform Module (TPM) and Intel's AMT for remote maintenance and unique identification of the subnotebook in networks. 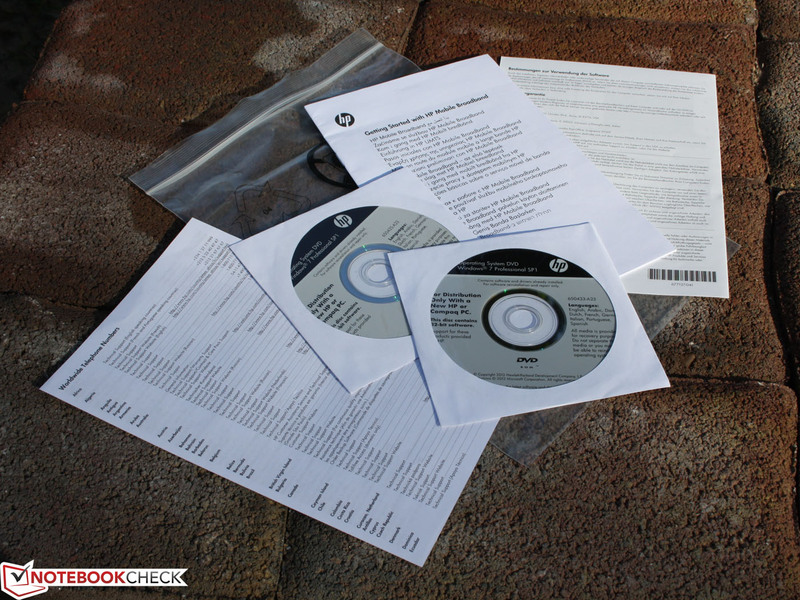 In terms of software, HP has provided everything the business class needs: such as the ProtectTools Administrator Console and Security Manager. Encryption, authentication, or privacy: detailed settings are available. Upgrade, clean, or manage the device in detail - the 2170p allows this to a high extent. In the BIOS we can find an extremely wide range of settings for some components. The maintenance cover offers unrestricted access to the heat pipe (for cleaning). 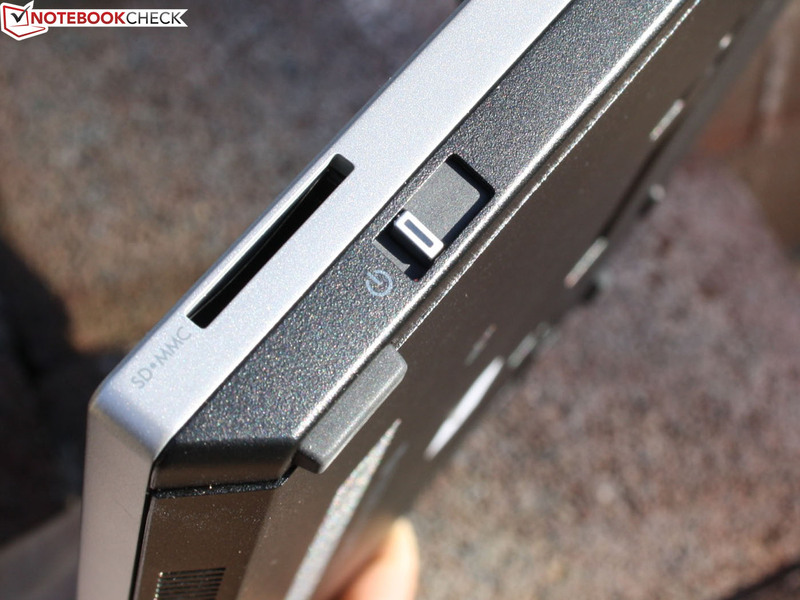 The SSD comes in the standard 2.5-inches (height: 7 mm). Switching to another model is easy. For now, the user is well catered for with 256 GB. The standard warranty is only 12 months. This seems small for the price category, but is based around the concept of optional Care Packs. Depending on the needs and demands on the reliability, up to five years of on-site service can be selected. 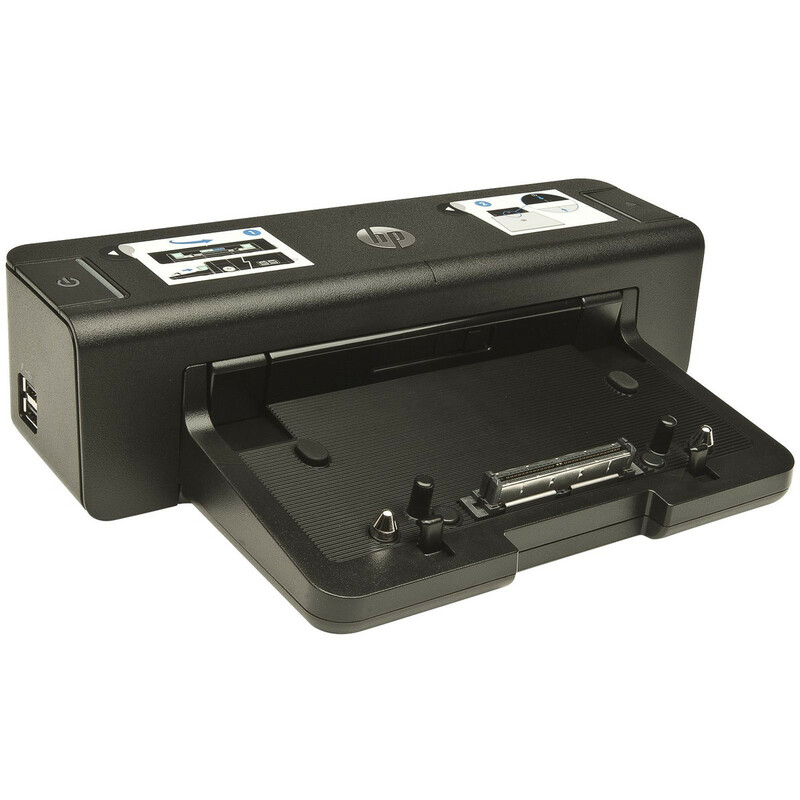 HP has equipped the 2170p with free-standing keys, which lie in a two-millimeter recess. This way, the keys are at the same height as the palm rest. The keyboard base is extremely solid, which provides a firm, almost hard impact. Typing is almost silent. HP has also thought of accuracy and has given the keys a slight concave curvature. It is barely visible, but provides the fingers enough orientation while typing. We quickly got accustomed to the forcibly reduced 11.6-inch layout. Because the Enter, Shift (right and left) as well as Backspace and Tab are only marginally smaller than usual, we've had no problems with the layout. This comes at the expense of the smaller Fn and F keys, but that did not bother us. Key travel and pressure point are both clear. The crisp pressure point gives a very good feedback. The keyboard has backlighting, which can only be turned on or off, which is a shame, since in complete darkness, the brightness is too high. We would have liked an option to lower it. The dual pointing device consists of touchpad and pointer stick and is considered standard not only for HP, but also for Lenovo and Dell. Technically, it consists of four devices, which all come with separate settings. Sounds confusing, but can be very practical: those that do not like the four mouse buttons, can deactivate one or two pairs, while still using the pad. There are a number of individual customization options. The so-called Synaptics LuxPad V7.5 supports multi-touch gestures. The classical on-finger scroll bars are also adjustable. The pad and its buttons can be deactivated quickly via a double tap in the upper left corner. To confirm this, a small status LED lights up. The pad has a smooth surface. Thanks to the sharp-edged recess and the large mouse buttons, it cannot be missed, even in complete darkness. We like the very long travel and flexibility of the mouse buttons. The very clear pressure point and the cushioned, silent stop provide a pleasant feedback. Let there be light: keyboard backlighting. 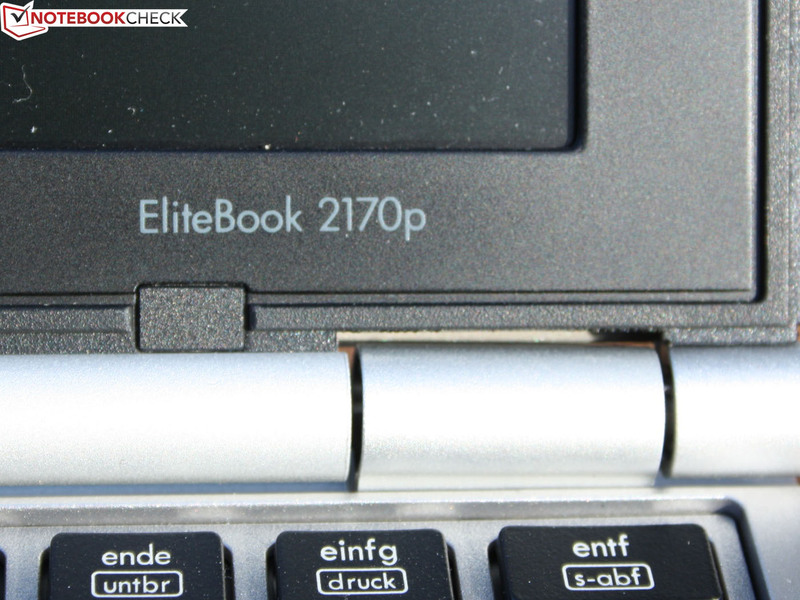 The 11.6-inch HD screen of the EliteBook 2170p has a resolution of 1366×768 pixels (16:9). The panel is anti-glare. Clear work could be difficult because of the small screen height. Large Excel spreadsheets, website back-ends, or enterprise software with fixed dimensions (data collection, warehousing, ERP-Tools, SAP, MS Dynamics etc) reach their limits with only 768 pixels. As a result, we are annoyed by all the up and down scrolling. Unfortunately, users do not have a choice with the 2170p: HP offers only this panel. Even the 12.5-inch 2570p offered no alternatives. It must be noted that consumer and professional business laptops (earlier 4:3) have adopted the 16:9 format a while ago. On the other hand, pixel density is more work suitable than the Full HD resolution of the Asus Zenbook UX21A. Business users do not want to read texts with the magnification tool. But here the requirement may vary. The anti-glare prevents reflections, though the contrast is relatively low. This is not true for all matte screens, as the high-quality display of the EliteBooks 8570p (1600x900) shows. Samsung proves it with the Series 9 900X1B: a high-quality 11.6-inch HD panel is possible. 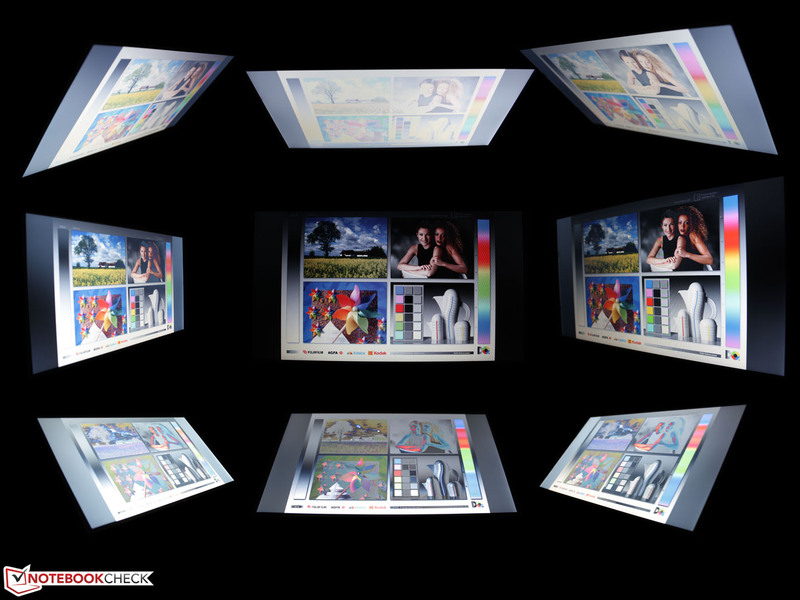 The HD+ panel is not good enough for the professional image editor; the sRGB color space was not covered, the same as the AdobeRGB. The Asus UX31A (Fig. 4) shows us how a good display should perform, and even covers the sRGB. Figure 3 shows that an acceptable color space is no voodoo magic (8570p). The brightness of the 11.6-inch notebook is on average at 199 cd/m², a low level. This is of course enough for desk use or at the airport, but under sunlight it looks bleak. The reason: as if 200 cd/m² was not low enough - on battery power, the illumination drops to 160 cd/m² (middle measuring point). The perfect outdoor companion should have 250 to 300 cd/m² at any time. There are no options in the BIOS to switch this off. There is no ambient light sensor, which could have altered the measurements. 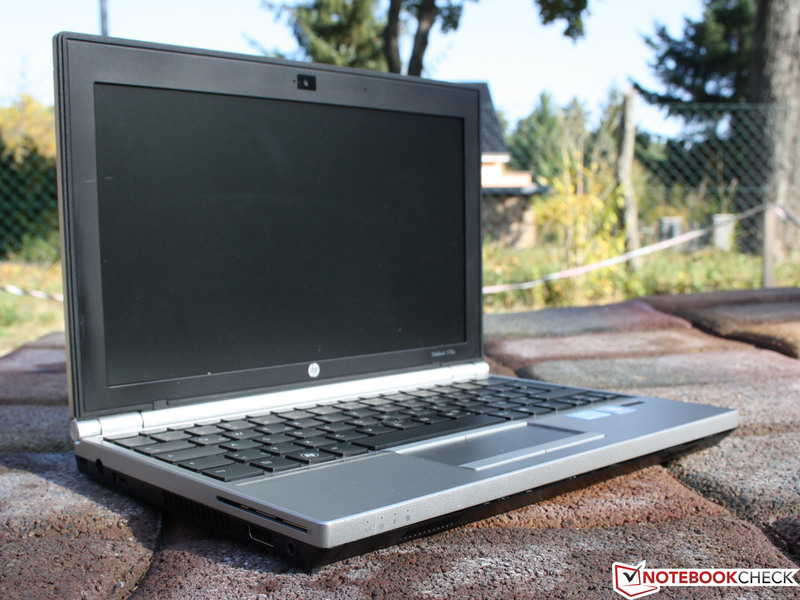 The low brightness has a history: the HP EliteBook 2560p (12.5-inches, 2011) had an average value of 150 cd/m² (on AC and battery power). Its successor, the 2570p with 165 cd/m², is not much better. In terms of viewing angle stability, the 2170p performs badly. 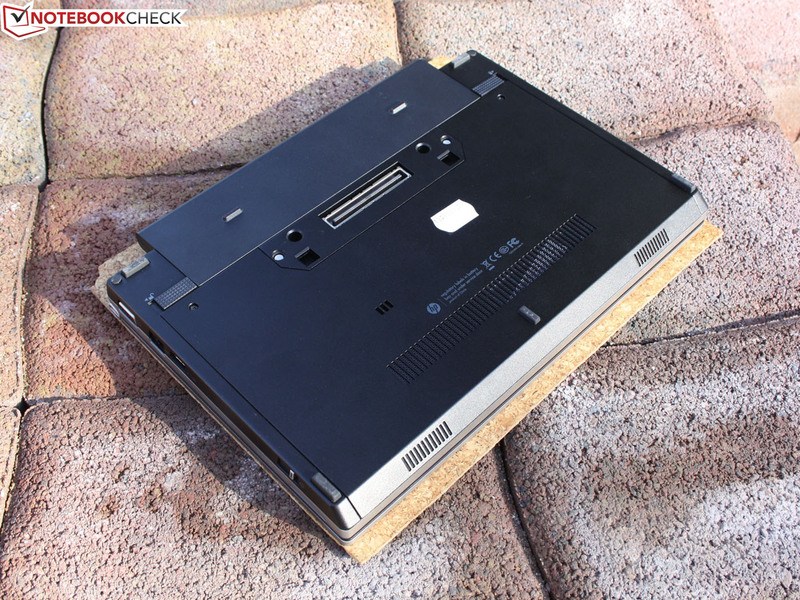 The 11.6-inch notebook has the same tight vertical and horizontal viewing angles as 80% of our test candidates: vertically - very low (around 15 degrees), horizontally - barely enough (around 45 degrees). 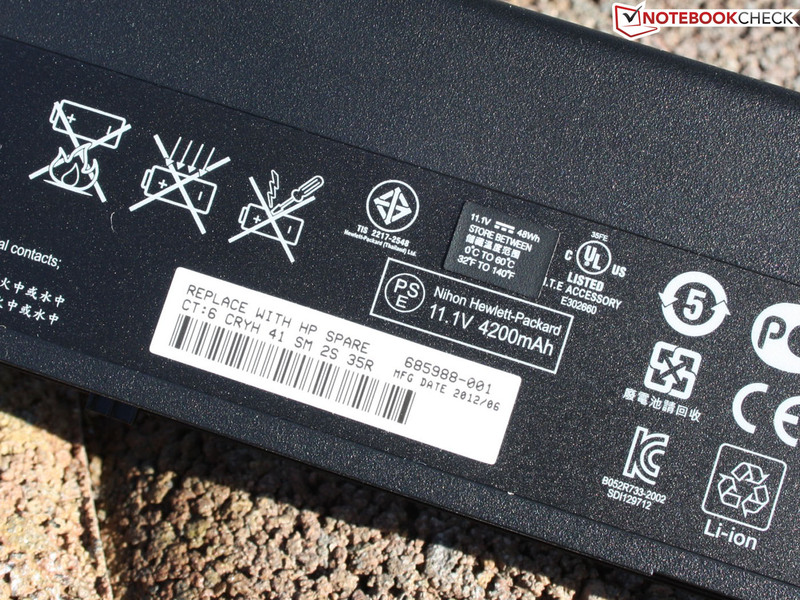 The competitors Lenovo ThinkPad X121e, ThinkPad Edge E130 and Acer TravelMate B113-M (all 11.6-inch) do not perform better with their TN panels, but these devices only cost about 300 to 650 Euros (~$386 to $837). In view of the Zenbook UX31A with an IPS panel at 1200 Euros (~$1545) we wonder about the quality of the Elite class. Lenovo's ThinkPad X230 (IPS, very bright, 12.5-inches) has by far the best display in the compact business class (starting at 1550 Euros, ~$1996). The Intel Core i7-3667U 2-3.2 GHz (Turbo) is currently the fastest low-voltage processor, with a 17 W TDP (thermal design power). 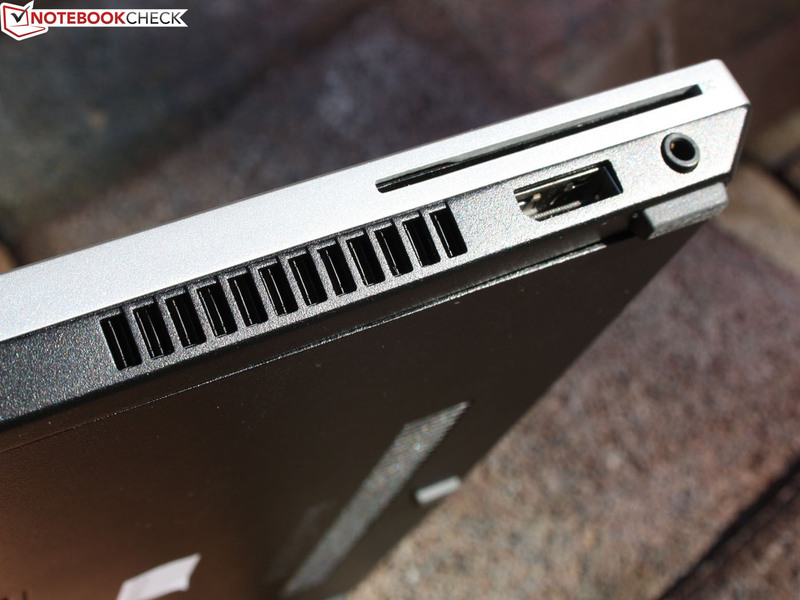 It tops the 3517U in the Aspire S7 we tested not long ago. 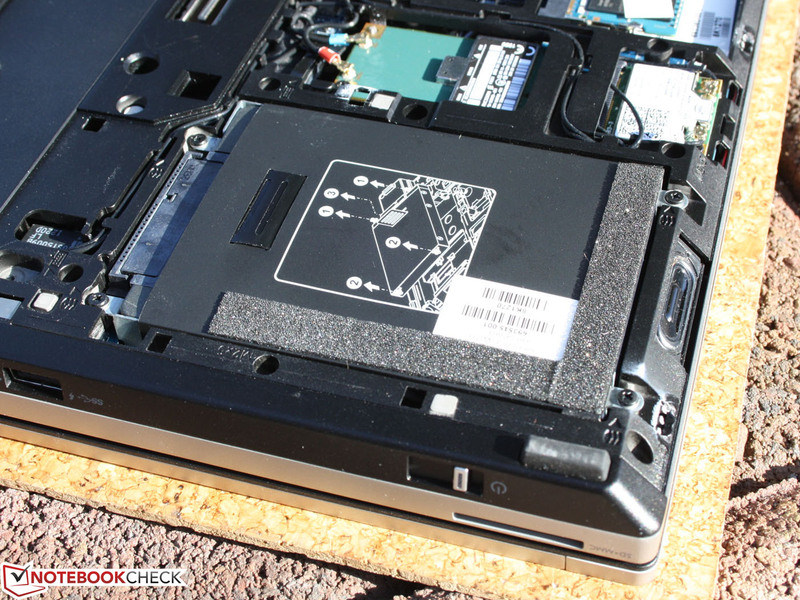 A CPU alternative is the i5-3427U 1.8-2.8 GHz (for example: Fujitsu LifeBook U772, ThinkPad X1 Carbon). The 22 nm processor has an integrated DDR3 controller and an HD 4000 on board. In our test system we have 4096 MB RAM, with a second SO-DIMM slot free. The storage device is a Micron RealSSD C400 (MTFDDAK256MAM-1K12) with 256 GB (SATA 6 GB/s). 11.6-inches and a potent Core i7. Will the cooling system manage the heat and will the CPU deliver the performance, for which the customers have paid? The ThinkPad X1 Carbon and Dell XPS 12, equipped with the same processor, are 1 to 13% slower. The 2170p is only 15% behind the standard voltage Core i7-3520M (2570p). The cheaper i5-3427U (MacBook Air 13 Mid 2013) is also enough, -11% in the multi-test is acceptable. The frequency in the CPU multi-test only fluctuates between 2.8 and 2.9 GHz. Under single core load, the i7 ran constantly at 3.0 GHz. This is not the promised 3.2 GHz, but at least the best result so far compared to the competition. On battery power the user does not need to give up this performance. The R11.5 tests (OpenGL also, via GPU) results are 100% identical. PCMark 7 and PCMark Vantage evaluate the overall application performance (SSD, RAM, GPU). The results are highly dependent on the speed of the storage device. 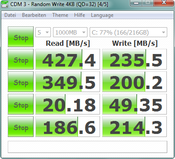 In our case, the RealSSD by Micron performs well - the Storage Subscores were 5,033 and 32,632 points (PCM7/PCMV). The 2170p almost reached the score of the standard voltage CPUs of the last four subnotebooks (all of them 12-inch). The X1 Carbon with the same CPU, but a SanDisk SSD, is on par. 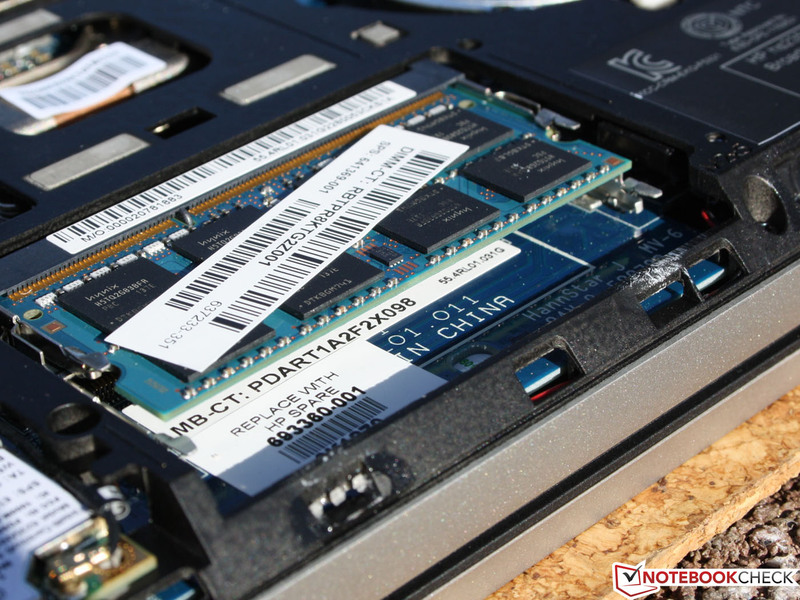 The Micron SSD is quick, but not so in comparison to the top class. The short bars in Crystal Disk Mark test show the known low speed of conventional HDDs. The read rate in the first part of the chart was surprisingly similar throughout, despite the different SSD types (Samsung, Toshiba, Micron, SanDisk). Are all SSDs equally good? Not at all: when reading small, scattered data (4K tests) the X1 Carbon (SanDisk SD5SG2256G1052E) is significantly ahead (+39%). But following closely is our test unit and its sister model, the 2570p (both with Micron RealSSD C400). The performance of the HD 4000 in comparison to an entry-level discrete card (GeForce GT 620M, +76%) is not spectacular (3DMark 06). There is considerable variation among the HD 4000 devices, which is due to the different Turbo frequencies and the thermal constraints. The 2170p can partially overtake the low-voltage XPS 12, X1 Carbon and ThinkPad X230, but it cannot keep up with the latest four standard-voltage 12-inch notebooks. HP has managed the fan control of the 2170p well. In idle the cooling system does not turn off completely, but at 30 dB(A) it is almost inaudible (even in quiet environments). There is no HDD noise thanks to the SSD. 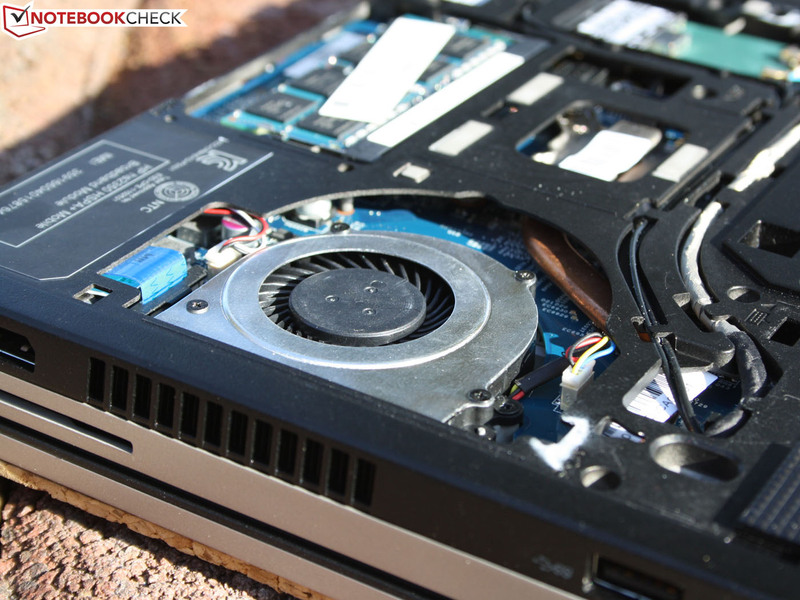 As is usual for HP, the "Fan always on while AC" function can be deactivated in the BIOS. Then the fan turns off briefly during idle state. In power user scenario with high CPU/GPU load (stress test with Furmark and Prime95) the cooling system noise reached 42 dB(A). The 11.6-inch notebook was loudest under multi-core CPU load (Prime95 Solo). We measured 45 dB(A). This cannot be ignored any more, but is all right because of its rarity. Realistic for the end user is the noise under moderate load (3DMark 2006). Here we measured 38 dB(A). 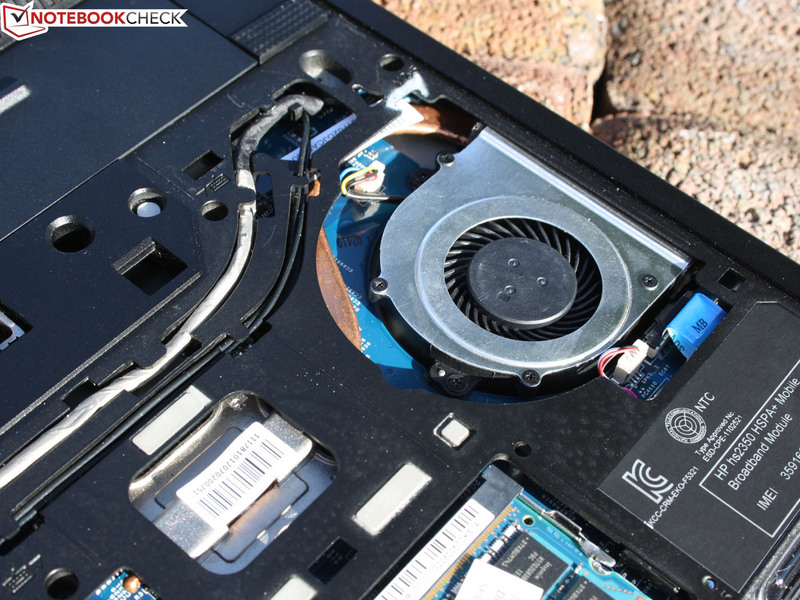 The cooling system runs smoothly, without any fluctuations. 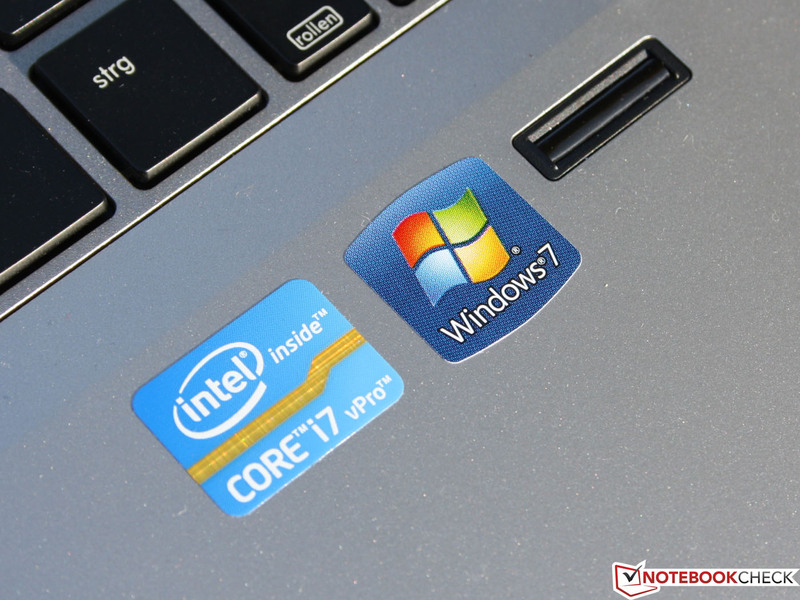 A Core i7 in an 11.6-inch notebook - this raises concerns about overheating housing. But this is not the case with the EliteBook 2170p - the thick case leaves enough space for the heat pipe, fan, and radiator. The temperatures remain low most of the time, even under high load. The values in idle (average) are different from the ones during the stress test by only 6 oC (bottom) and 5 oC (top). 40 oC was never reached, which make for ideal condition for lap use. We can give the 2170p the all-clear signal in terms of throttling. The standard frequency of 2.0 GHz was constantly kept during the multi-core stress test. In this test, the HD 4000 is kept parallel to the CPU at 100% load. As soon as the GPU load was stopped, the CPU frequency rose to 2.8-2.9 GHz as well as its performance (see above: Cinebench R11.5 Multi). At the beginning of the stress test, as well as after a couple of hours, the energy consumption of the subnotebook remained at 34 W. This is a further indication of a throttling free subnotebook. (-) The average temperature of the palmrest area of similar devices was 28.6 °C / 83.5 F (-6.5 °C / -11.7 F). The integrated stereo speakers are located at the front of the mini. Unfortunately they and the internal audio output were defective; therefore we could not test their sound qualities. We could not achieve anything with external speakers either. Since HP has not installed the special Altec Lansing speakers (consumer devices), we can expect a mediocre sound at most. 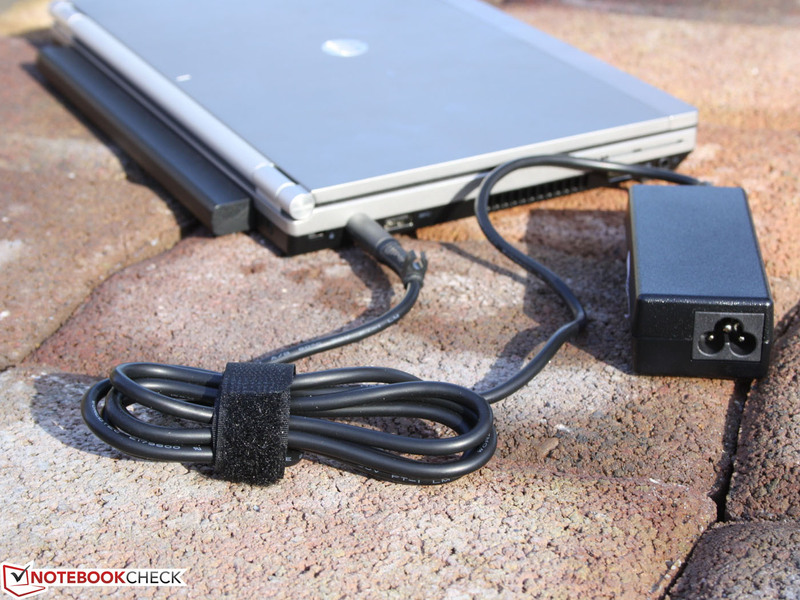 The small notebook has a low energy consumption, but in idle it is not more efficient than the EliteBook 2570p (12.5-inches, 35 W standard voltage i7). The lowest idle consumption was 7.2 Watt (2570p: 6.4 W). The maximum idle consumption was 10.7 W (2570p: 12.3 W). In the latter every power consumer was active (wireless, highest brightness of the LCD, high performance profile). Under load things are completely different: the 2570p needed 40 or 56 W (3DMark 06 respectively stress test), while our test unit could do with 30 and 34 W respectively. The 65 W power supply is enough, but it reaches 52 oC under high consumption. 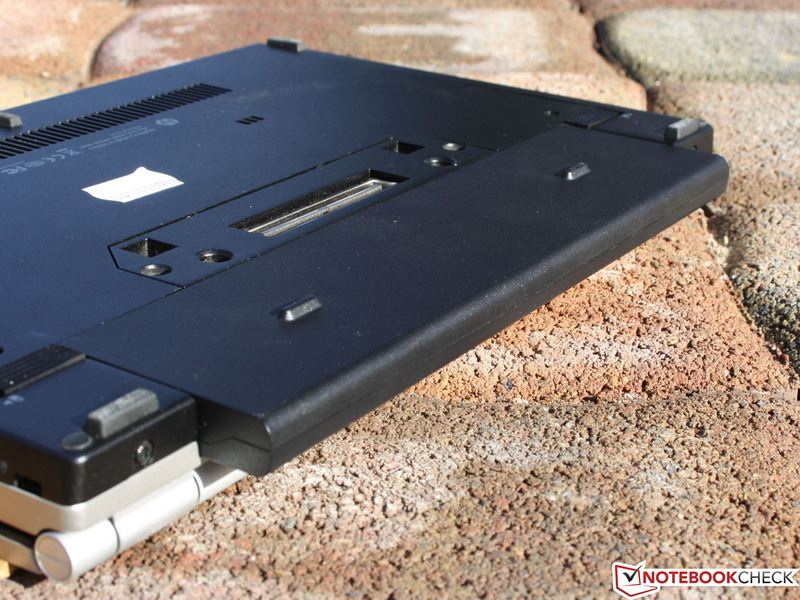 The 11.6-inch notebook is equipped with a 48 Wh battery. The only true 11.6-inch competitors (business devices) usually have higher capacity. Surprisingly the WLAN Test (2170p: 424 minutes) was either better or on par: Lenovo ThinkPad X121e (57 Wh, i3 version, WLAN: 309 minutes), Lenovo ThinkPad Edge E130 (62 Wh, i3 version, WLAN: 428 minutes), Acer TravelMate B113-M (37 Wh, i3 version, WLAN: 205 minutes). The 12-inch competition, which is a better comparison because of the features and price tag, do not offer such long WLAN run times: Lenovo ThinkPad X230 (63 Wh, 329 minutes), ThinkPad X220 (63 Wh, 368 minutes), EliteBook 2570p (55 Wh, 363 minutes), Fujitsu Lifebook P772 (63 Wh, 309 minutes), Dell Latitude E6230 (58 Wh, 344 minutes). Thrifty users can extend the battery life with maximum power savings to 11:32 hours (best rivals: Edge E130, 9:17 hours; ThinkPad X230, 10:04 hours). However, without load, inactive wireless modules, and extremely low brightness, the device is barely usable, thus making the maximum run time a theoretical value. 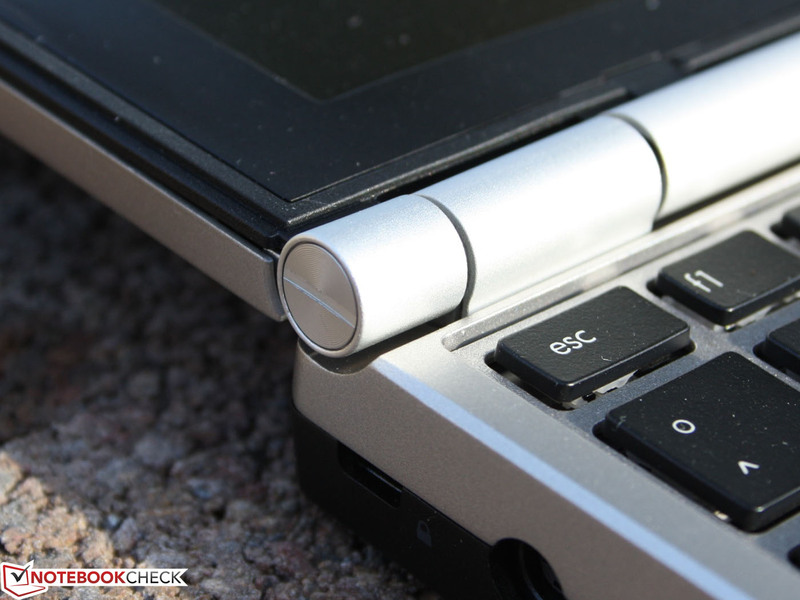 Initially we asked the question: how should a mini EliteBook look, adhering to the quality standard of the series? Half of this and half of that would be the answer. Case, input devices, and run times meet the high expectations. What amazes us: after the throttling problems of the 14-inch sister model 8460p (2011) now even the smallest member of the series comes without any such performance losses. Performance is perhaps the right topic to at least partially justify the high price of the EliteBook. The Core i7-3667U is the fastest ULV processor (2nd quarter 2012) and under multi CPU load it runs constantly at 2.8 GHz (Single: 3.0 GHz). It is remarkable for the cooling system of an 11.6-inch notebook to keep the chassis under load not considerably warmer than in idle. In addition, we have the Micron RealSSD C400, a 256 GB SSD, which catapults the 2170p among the fastest application performers. 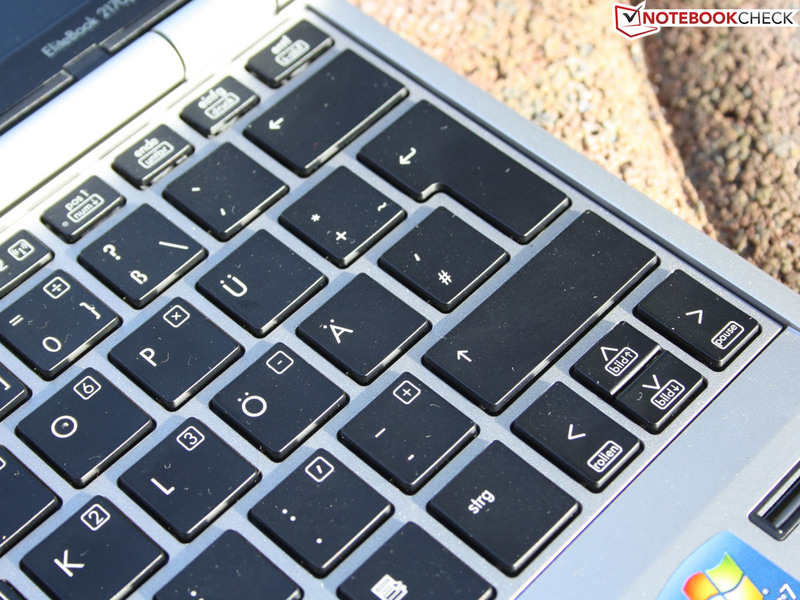 The input devices of the smallest EliteBook are state of the art. HP proves that the high typing comfort and practicality should not be strange to the 11.6-inch form factor. The Display- and the Docking-Port as well as the SmartCard reader match the business setting well. No other 11.6-inch notebook of the competitors offers these interfaces. 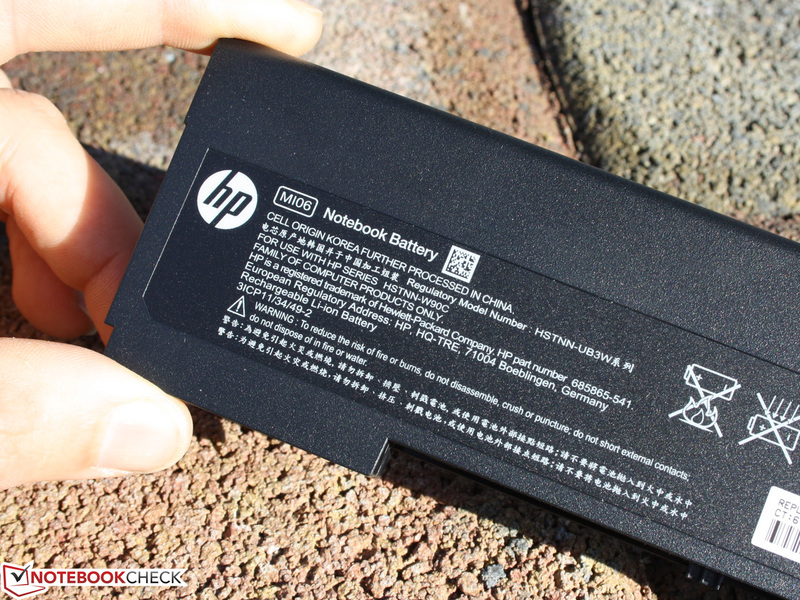 After the flattery come the drawbacks: what were HP thinking, limiting the brightness on battery power to 160 cd/m²? The choice to prolong the battery life should have been left to the user via specific energy profiles. The consequence: the matte, not very bright HD panel (199 cd/m² average), has a too dark display for the outdoor sunlight. Thus working with it is no fun. 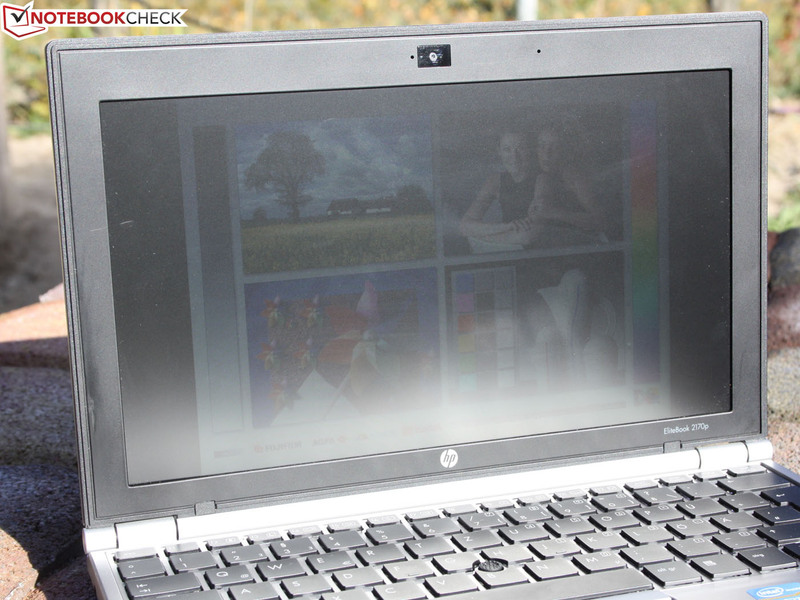 HP might solve this with a BIOS update, but customers should not rely on this too much, because the low brightness already has a tradition with the smallest EliteBooks. Thus we lower the display score by 10% and our overall impression falls to 75%. With a good brightness, the latter could easily reach 90%. The low contrast and the poor HD resolution of the TN panel are, if not disadvantages, the smaller weaknesses. Even though the Asus Zenbook UX21A boasts Full HD, the business user wants to read text off the screen and not only watch 1080p movies. The HD panel is the only option given by the manufacturer. Good alternatives in the 11.6-inch class are rare; the only recommended and reasonably priced ones are the ThinkPad Edge E135/130 series (very good input devices and run times). Those who do not want the trail mix, but something elite with SSD, i7 processor, lots of interfaces (docking) and broadband modem, should take a look at the 12-inch class. Lenovo, HP, Fujitsu, and Dell all have appropriate alternatives here. When it comes to high-quality IPS HD panel with higher "battery brightness", the only alternative seems to be Lenovo's 12.5-inch ThinkPad X230 (starting at 1550 Euros, ~$1983). For the review, see the "The competition" in the right hand column. 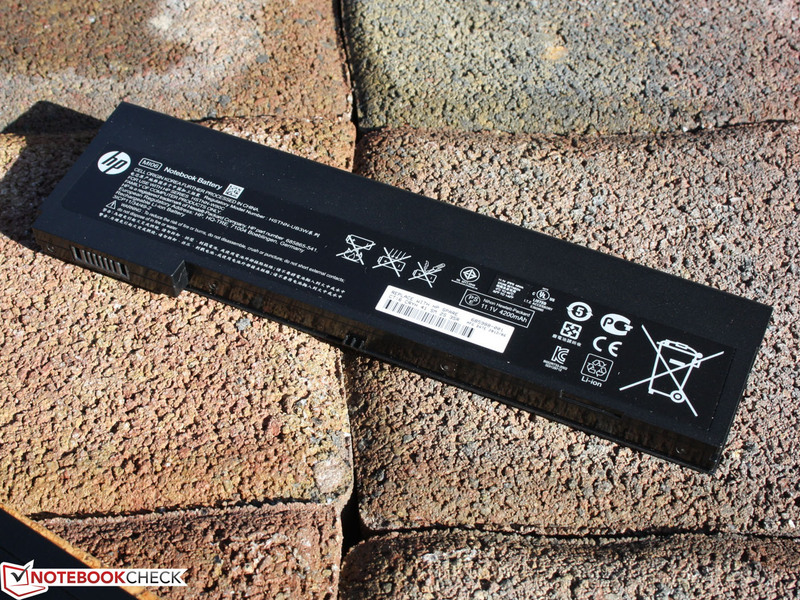 HP EliteBook 2170p-B6Q15EA: Excellent battery life, workmanship, performance, and input devices. But the low LCD brightness spoils outdoor use. Shame even cheaper rivals could manage that better. 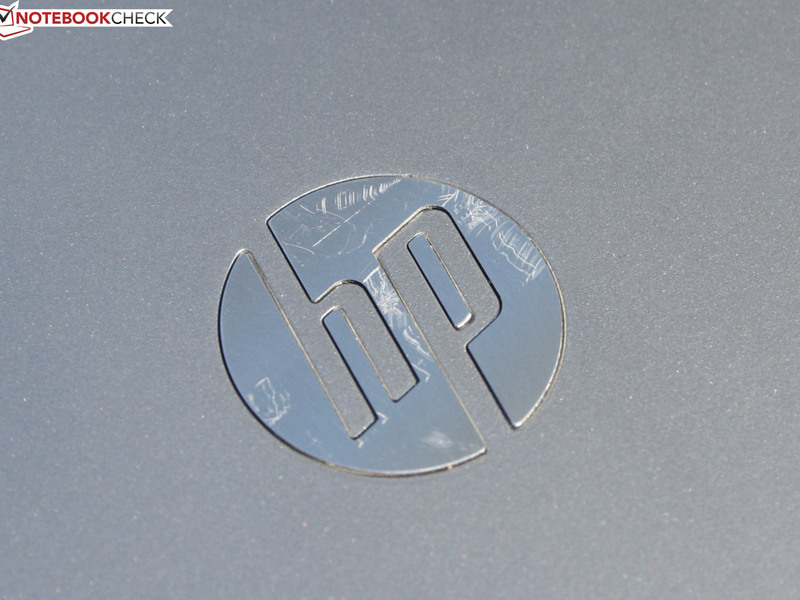 HP expands the EliteBook family with an 11.6-inch notebook. Caution! The previous tester has managed to break all of the plastic hooks. and of course the HSDPA module. Two RAM sockets, one free (1x 4 GB SO-DIMM installed). Even cleaning the fan is not a challenge. The stereo speakers are located at the front. 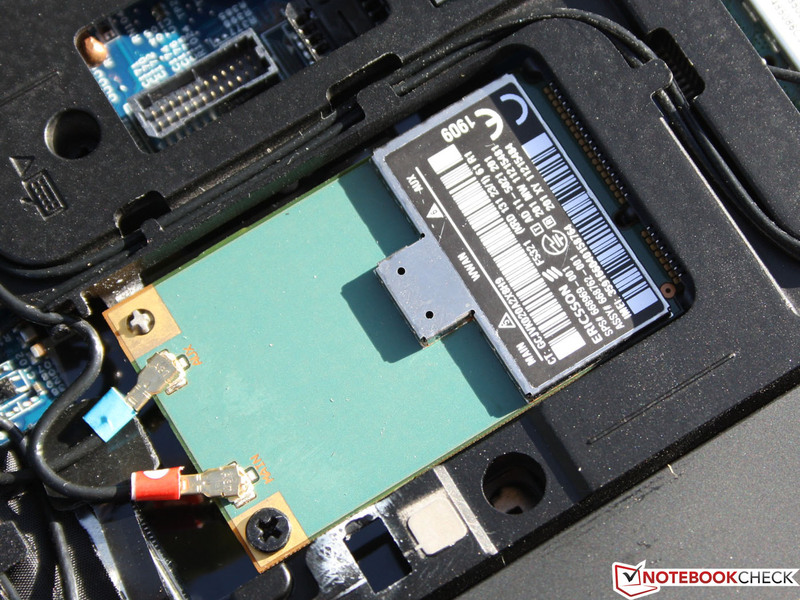 The SIM card is inserted under the battery. Unfortunately the latter sticks significantly out the back of the mini. a run time of seven hours (WLAN test). The battery has a capacity of 48 Wh (6-cells). 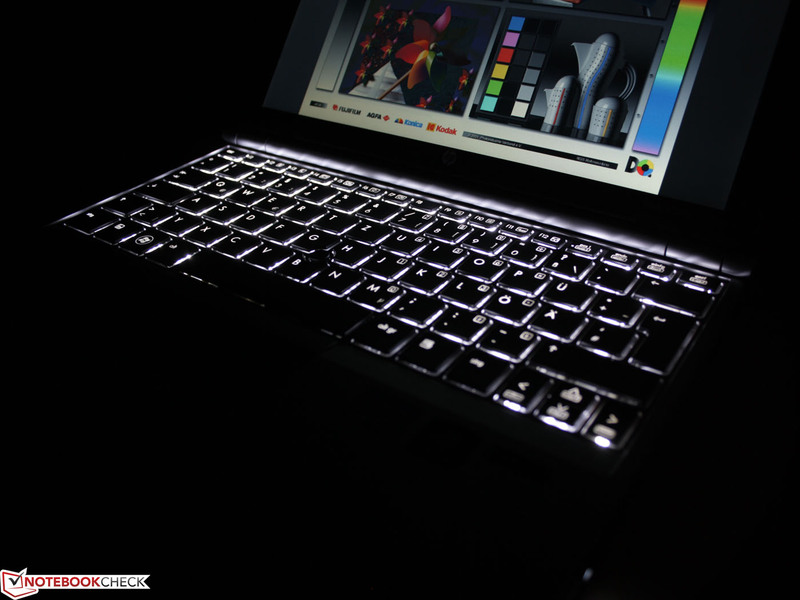 HP EliteBook 2170p: handy - the backlit keyboard. 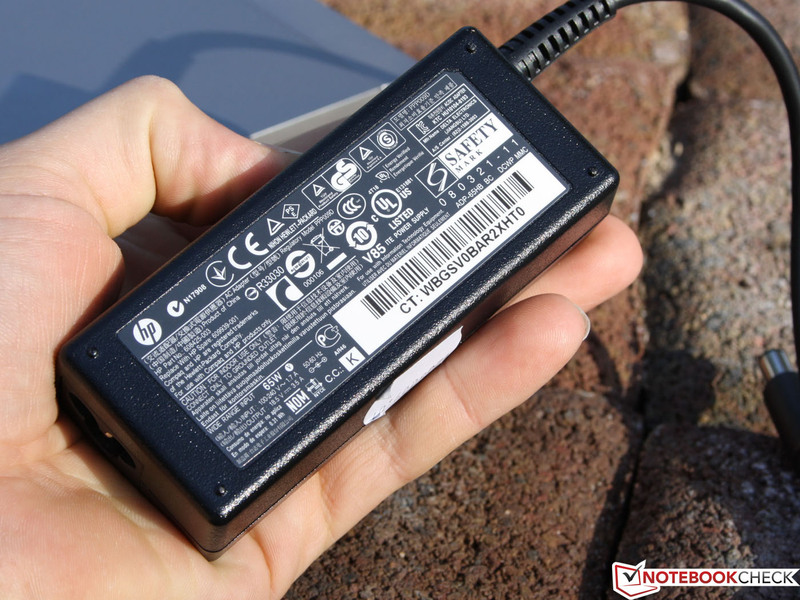 HP EliteBook 2170p: bummer - on battery power the brightness dims to 160 cd/m². This requires the removal of only two screws (Phillips). The bottom cover of the 11.6-inch can be removed completely. and Acer's TravelMate B113-M one of the few 11.6-inch business minis. 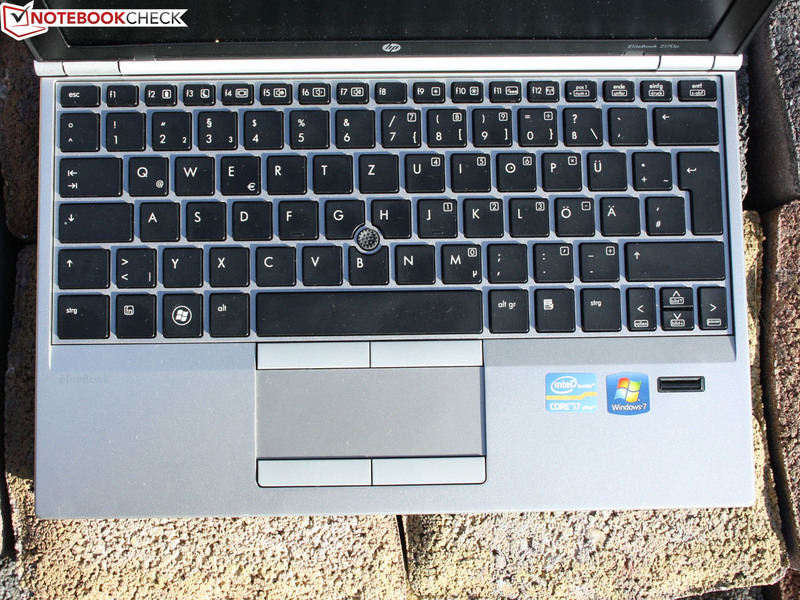 Depending on the configuration, the EliteBook costs 1200 to 1800 Euros (~$1536 to $2304). Savers will go for the i5 plus HDD. When money is no object - the i7, 256 GB SSD, and HSDPA modem (our test unit). the prolific input devices are on board in any case. The Dual Pointing Device with touchpad and pointer are very good. There is still space left for interfaces. HP has stopped at two USB 3.0 ports. The HDMI output is replaced with a DisplayPort. The LCD frame sits gently on the base unit thanks to the rubber strip. 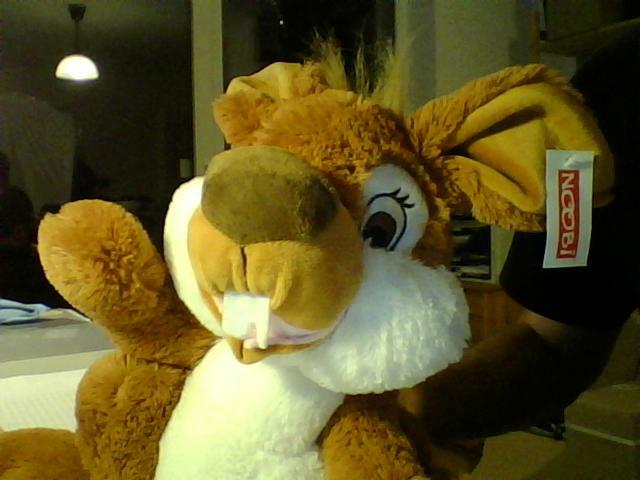 The webcam has a good resolution (1280x720) and even under low light takes good photos. The 65 W power supply is never overwhelmed and even charges the battery during the stress test. The tradition of straight, impractical connector cables continues. 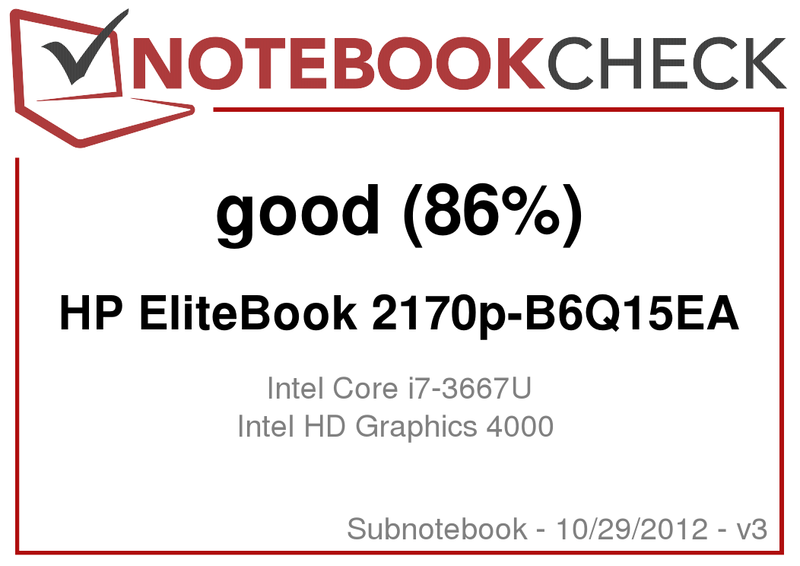 HP EliteBook 2170p: well done - Core i7 performance without heat or throttling problems. A base unit, hard as a board, but still light. Very good keyboard with backlighting. Cool and quiet during normal operation. Full i7 power without throttling and with the support of a fast SSD. Is there no production of IPS panels (wide viewing angles, high contrast) with HD resolution? Why does HP limit the brightness on battery power? The 12.5-inch sister model 2570p suffers from (generally) low brightness. 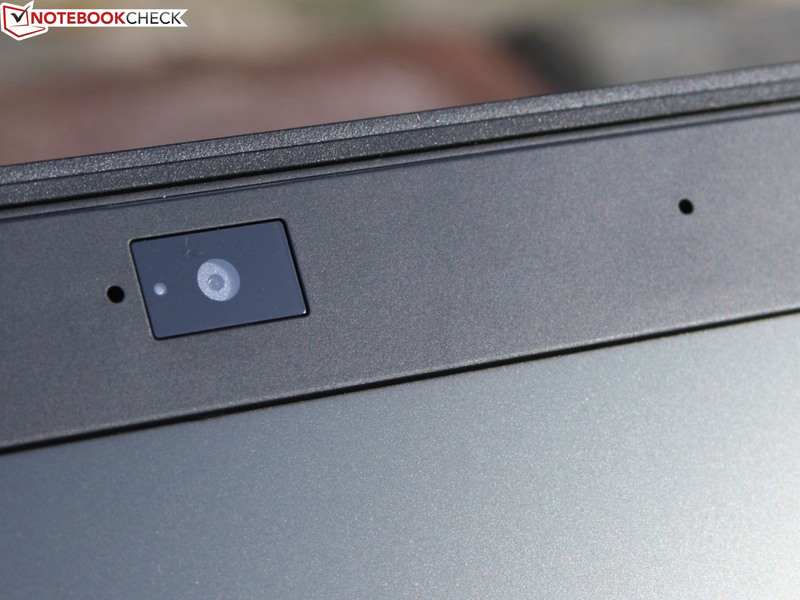 Among the few 11.6-inch business notebooks are Lenovo's ThinkPad X121e (discontinued, AMD/Intel, 400 to 600 Euros, ~$512 to $768), the ThinkPad Edge E135/130 (AMD/Intel, 400 to 600 Euros, ~$512 to $768) and Acer's TravelMate B113-M (Intel, 400 to 630 Euros, ~$512 to $806). The better alternatives are 12-inch: Lenovo's ThinkPad X230 (i7, UMTS), ThinkPad X220 (SSD, UMTS), HP EliteBook 2760p (SSD, UMTS), EliteBook 2570p (i7, SSD, UMTS), Fujitsu Lifebook P702 (UMTS), Lifebook P772 (i7, SSD, UMTS), Dell Latitude E6230 (i7, SSD).